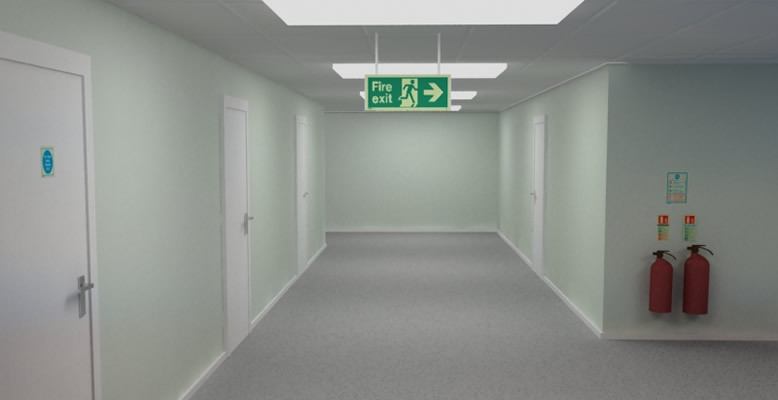 Corridors are an essential part of any escape route and should be kept clear of obstructions. 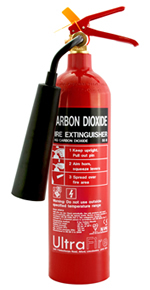 They usually contain limited fire risks but are a key location to fire extinguisher access from adjoining rooms. Most corridors will have general fire risks from things such as carpets, wooden door and furniture. Class A - Suitable for solid combustible materials such as wood and textiles, these materials are often found in corridors in the form of doors, notice boards, furniture and carpets. Class B - Suitable for flammable liquids such as petrol and oil, these materials are often found in corridors in the form of furniture polish and cleaning materials which are left on cleaning carts. 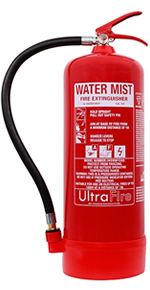 Foam fire extinguishers prevent the re-ignition of burning substances. They have excellent penetration properties and do not impair visibility when discharged. 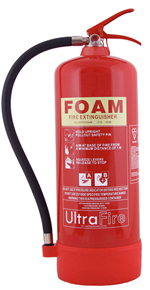 Foam is an electrical conductor making foam fire extinguishers unsuitable for use on electrical fires. In many corridors there are electrical boxes located on walls and often adjoining rooms containing electrical fire risks. Electrical - Suitable for use on electrical fires such as computers and printers which are often found in adjoining rooms to corridors. Also suitable use on things such as electrical heaters which are often found in corridors themselves.